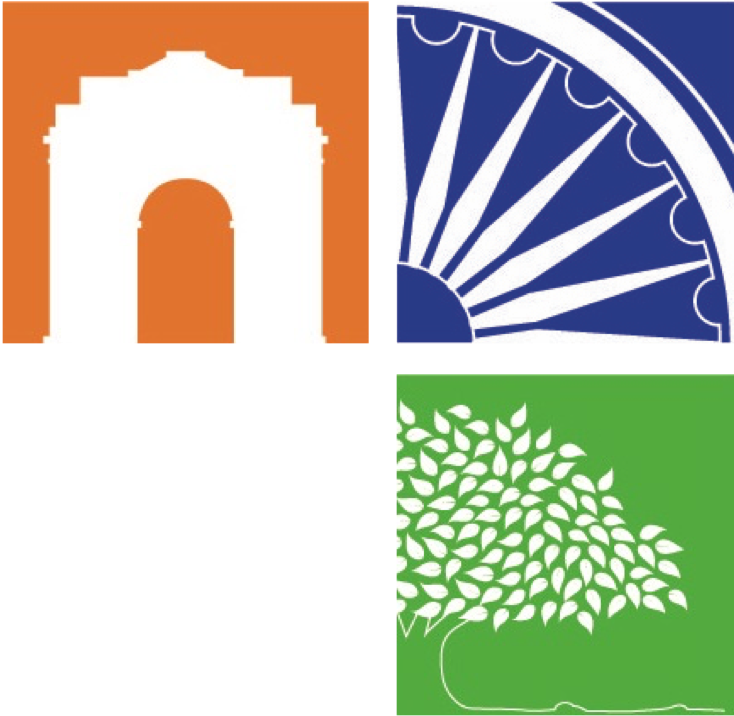 The International Summer School (ISS, www.issnewdelhi.in) is an intensive, six-week academic program that brings together students from across the world over the course of a summer in New Delhi, India’s capital. The program is convened annually under the banner of the Government’s acclaimed Incredible India campaign, in affiliation with the Department of Political Science at Jamia Millia Islamia - A Central University (JMI) and with regular support from the Ministry of External Affairs (MEA) over the years. The ISS aims at promoting international goodwill and cross-cultural dialogue amongst promising young individuals, developing their potential as future leaders in government, business and civil society; with India as a study model, it offers undergraduate course modules & experiences which introduce the students to a range of issues & debates that are shaping contemporary developing societies. The faculty delivering lectures as part of the first four modules are distinguished academics from institutions such as the Jawaharlal Nehru University, JMI, Delhi University, Ambedkar University, Ashoka University, Shiv Nadar University, OP Jindal Global University and the South Asian University, among others from India as well as overseas. The optional fifth module, Service Learning, allows students to engage with India through a series of workshops, excursions and a volunteer experience as well as to build on the knowledge gained from the other four modules. The aforementioned course modules are supplemented by seminars on topics that are relevant to the nation and its people as well as workshops that seek to develop each student’s leadership potential. Students are given the opportunity to interact with eminent speakers who are experts in their respective fields. Moreover, visits to sites of historical & cultural significance are planned over the course of the six weeks, including excursions to Agra and Jaipur, as are introductory lessons on the Hindi language and yoga classes in partnership with the Morarji Desai National Institute of Yoga. Since 2013, the ISS has had representation from 50 countries spread across six continents. In addition to India, these include Afghanistan, Australia, Austria, Bangladesh, Belgium, Bhutan, Brunei, Cambodia, China, Colombia, Denmark, Fiji, France, Germany, Haiti, Indonesia, Italy, Iran, Iraq, Japan, Lao PDR, Lebanon, Malaysia, Mauritius, Mexico, Myanmar, Morocco, Nepal, Nicaragua, Nigeria, Norway, Pakistan, Palestine, Paraguay, the Philippines, Singapore, Sri Lanka, South Africa, Switzerland, Syria, Tajikistan, Thailand, Turkey, Turkmenistan, the United Kingdom, the United States of America, Uzbekistan, Vietnam and Yemen. Students from past ISS sessions have attended some of the most renowned universities, globally. In fact, the ISS has formal partnerships & associations in place with institutions such as the University of California, the National University of Singapore, the University of Oxford, The University of Tokyo, Singapore Management University, the Asian University for Women in Chittagong, the Royal University of Bhutan and the University of Adelaide. The partnership with the University of California (UC) is a particularly important one for the ISS. Since 2014, the ISS and the UC Education Abroad Program (UCEAP) have had an agreement whereby students from across all ten campuses of the UC system are able to participate in the program while automatically receiving academic credits amounting to 12 quarter/ 8 semester UC units upon successful completion. This is a model partnership which has since been replicated with some of the other aforementioned institutions as well. Over the years, apart from the Ministry of External Affairs, entities such as the ASEAN Secretariat, the High Commission of India in Bangladesh and the India Bhutan Foundation have provided their backing to the ISS by way of financial and/ or other support. In the past, such support has taken the form of ten annual India-ASEAN Goodwill Scholarships for students representing various ASEAN Member States nationals as part of the Government of India’s ‘Act East Policy’, Indian Student Visa fee waivers, expedition of the visa application process and airfare for nationals from specific countries. A recent partnership that was established between the ISS and the Embassy of Mexico has also seen considerable success. As part of its official mandate, the Mexican mission in New Delhi conducted a comprehensive outreach among several higher educational institutions across Mexico in order to ensure that high performing students are able to partake in a unique study abroad experience in India. For the 2018 session, this resulted in over 400 applications from Mexican students and, eventually, the admission of six of them into the program. Formal relationships are now being developed with other diplomatic missions in New Delhi so that the diversity of the ISS student body can continually be enriched.